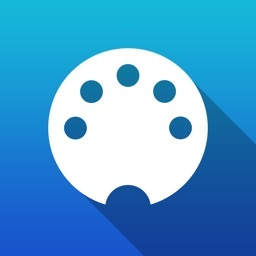 Musk MIDI Player: Your instant MIDI player - just add sounds and MIDI files! 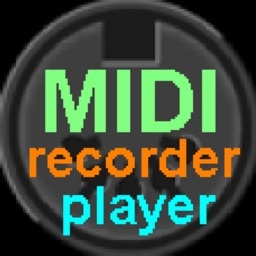 * You can search the web for MIDI files and download. * Let the app announce the bar and beat numbers. So you can easier follow the notes in a printed score. 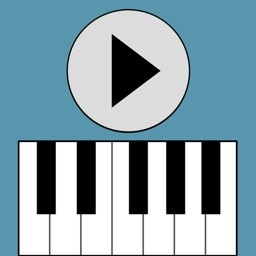 * Use automatic sound switching or customize the sound associated with each MIDI channel. 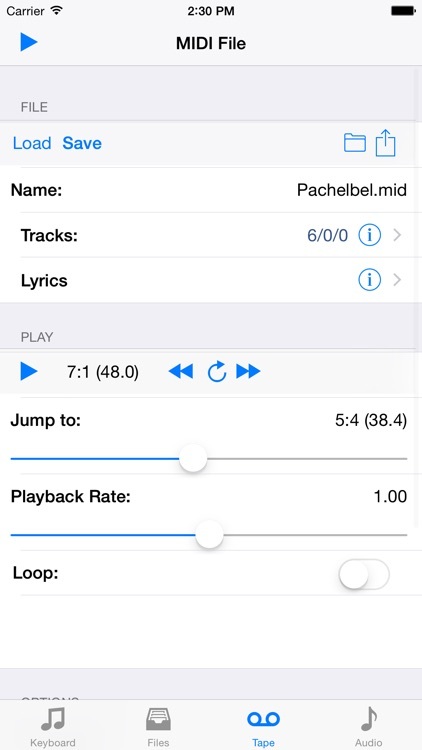 * Mix with the original sound (iOS8). 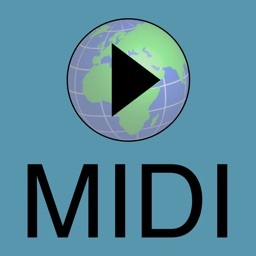 * Use the built-in web browser to search for MIDI files on the web. 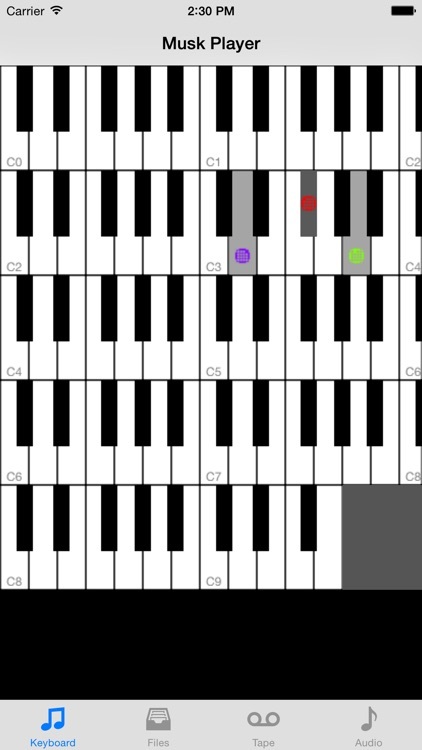 * The browser highlights MIDI (.mid, .midi) and Karaoke (.kar) links. * Downloaded files play back immediately. 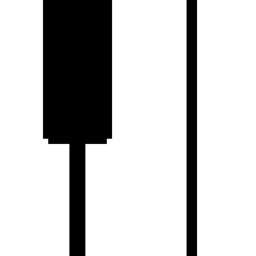 * Safari: search for a website that offers SoundFonts. Click on the file. Wait until it is downloaded. Then select this app in the "Open In" dialog. 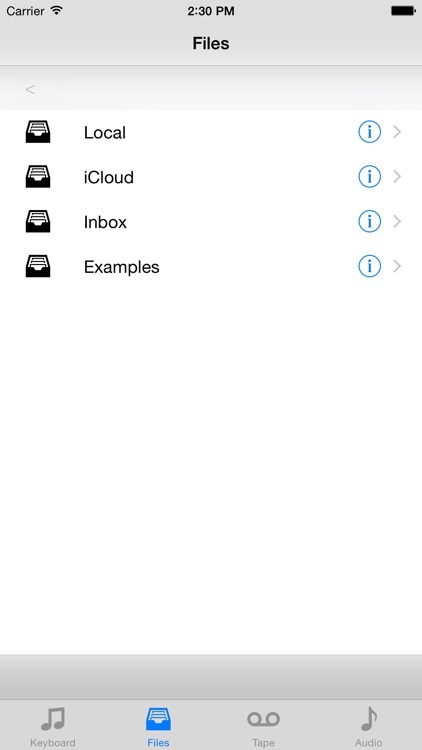 * Mail: Select the attachment and select this app in the "Open In" dialog. 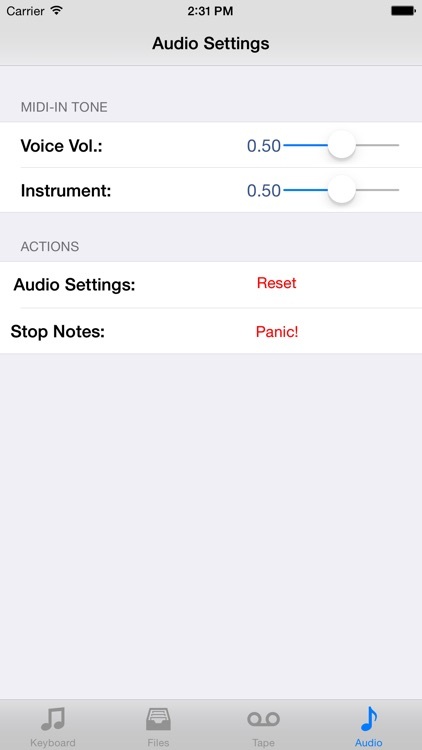 * Record the mixed-down audio output in Garageband, AudioShare or other apps. 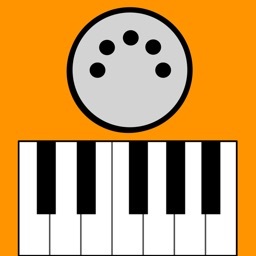 * Add sound effects in GarageBand, VoiceSynth or other apps. * Speech output can not be sent to other apps. 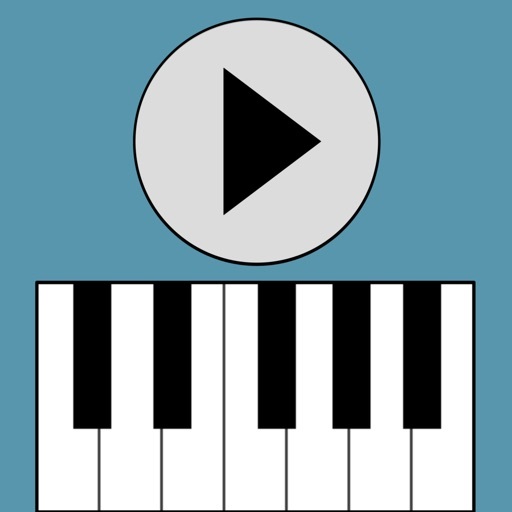 * Which app combinations are possible depends on Your hardware and Your sound fonts. 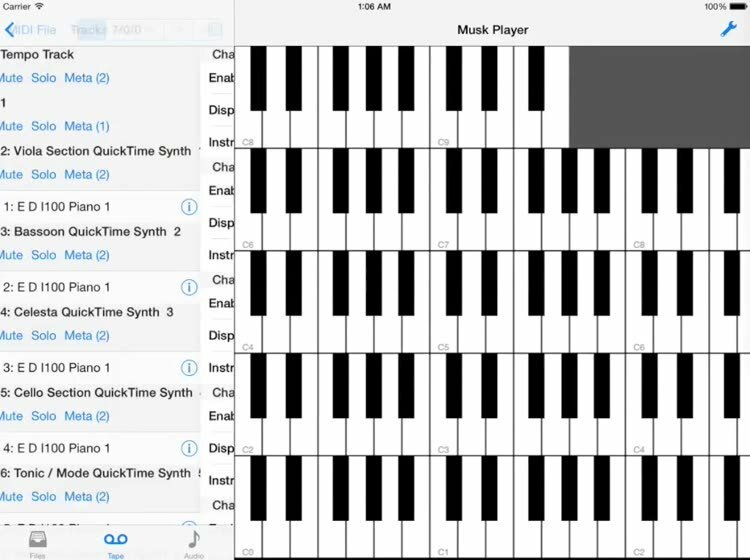 * Playing MIDI files with many notes per second can push older devices to their limits. 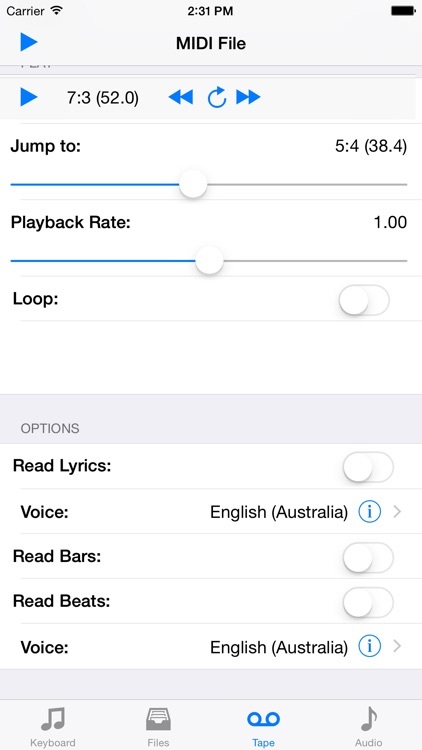 When you hear a scraping noise, try lowering the playback rate.